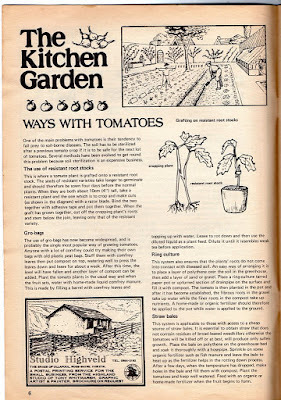 Looking through those old magazines I got lent the other day I came across this article about growing tomatoes in different ways. When looking at this article remember that it was published in 1983 (not sure if I'm breaking copyright but I'm only showing it because it's a great article). 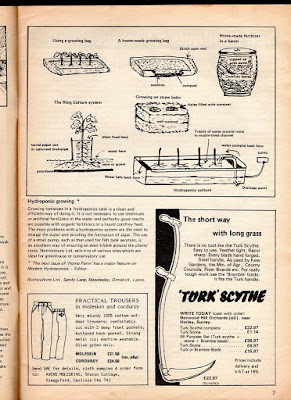 It details many methods that I think people think are quite new; the grafting of tomatoes, straw bale gardening method and hydroponics. Reading some books published lately you could be fooled into thinking that they invented some of these methods, especially the straw bale gardening which I have read a whole book on in the last few months and the guy pretty much claims it as a method he invented, whereas I can see that it was being used much earlier than that. What do you think to this old article? What have you seen lately that has been packaged as something new but is really just an old idea with some new packaging? I think virtually all the methods we gardeners use are variants of old and trusted ways of doing things. Sometimes methods move away from their origins for a while and veer off on a tangent, but it's usually the old ways that prove to the the best and things come full circle eventually. 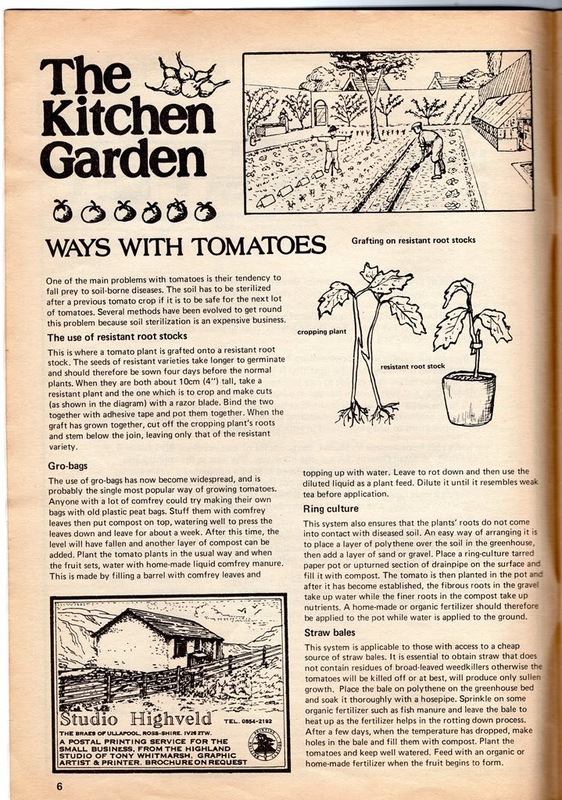 Hi Kev, I have old gardening books from the nineteen thirties and forties. 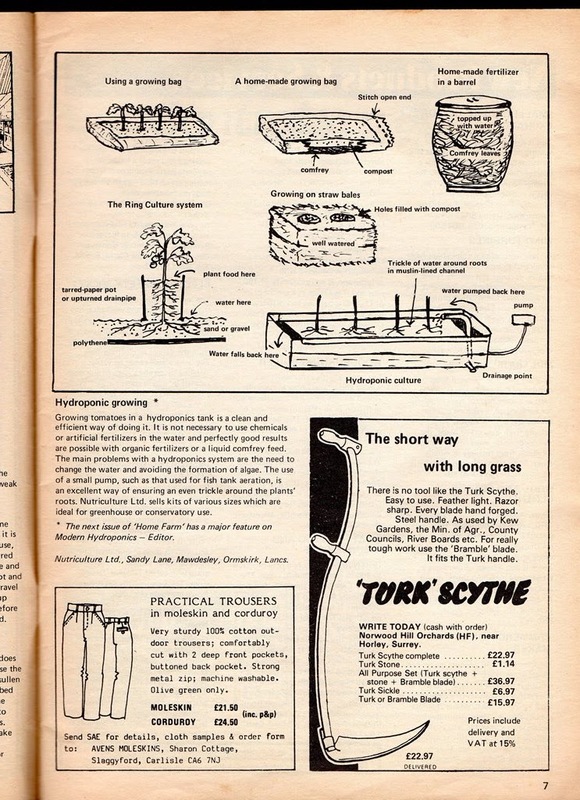 Their tips on plant cultivation and propagation are excellent. Some of the products used for pesticides would be banned today and you don't see many people double digging these days. But yeah they are still relevant and like they say, there is nothing new under the sun. I think the above comments (which I agree with btw) support you in what you're doing with your girlies, passing on the practical knowledge so it's not forgotten, so many of us have not received that part of an 'education'!